Please complete the form below. You will be contacted by a representative from the LongRange team to provide the license. 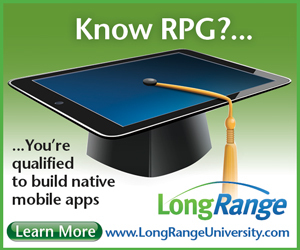 Want to run your LongRange apps on an additional IBM i server. Provide the CIK of the company that owns the LongRange app (the third party or your own company). When you purchase a license for LongRange Server you also need to license your copies of LongRange Studio. Note: Apps built with the trial version of LongRange Studio will only run in conjunction with a trial version of LongRange Server. Click on the Tools menu in the LongRange Studio application. Choose the option Request a Developer Certificate. A dialog box will be presented, showing the PC Identification Key for the computer. Click on the Copy PC Identification Key to Clipboard button. Your PC Identification Key has now been copied to the computer’s clipboard. Paste the value copied to your clipboard in step 4. above to the PC Identification Key field on this page. You will have received your Corporate Identification Key when you received a LongRange Server license. You MUST have requested and received a LongRange Server license before requesting a LongRange Studio license. Note: If you supply the incorrect CIK, the mobile applications you develop will not run.